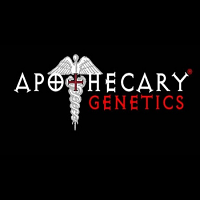 THC levels are around 20.7% with low CBD of 0.26%. 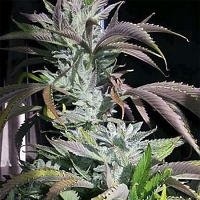 Sweet Ammo Feminized Cannabis Seeds by Lineage Genetics Seeds: Sweet Ammo is a 60% indica hybrid marijuana strain that resulted from crossing a Black Domina indica with Amnesia Core Cut. Once established this strain reveals its indica heritage through its Christmas-tree stucture and robust countenance. This is a very high-yielding strain. Sweet Ammo can be grown indoors and also outdoors wherever the weather is concistently good through to early or mid-October in the northern hemisphere. 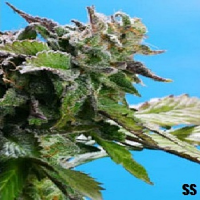 It is very adaptable to the use of SCRoG techniques and the breeder recommends removing the top bud when the plant has grown to about 10 inches (25 cm.) tall. 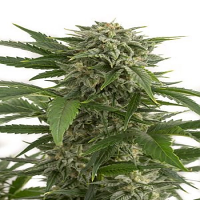 The proliferation of new branch development will bend to the grower's will and fill out the canopy giving great light exposure to the developing buds. 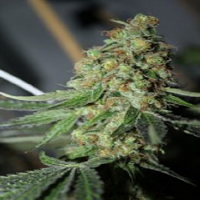 Indoor flowering tims are approximately 65 days with the dried yield being as high as 700 gr/m2 or even more. Outdoors yields are equally high with 800 - 1000 gr/plant possible with harvest being during October in northern latitudes. Buds are sticky and exude a strong, sweet scent of Haze. The taste is sweet, earthy and smooth and very more-ish. THC levels are around 20.7% with low CBD of 0.26%.